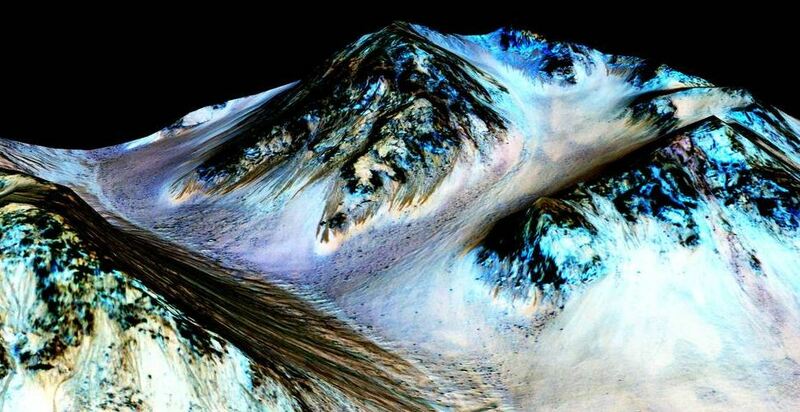 Scientists at the American space agency, NASA, recently announced that they are pretty sure there is water flowing on Mars. They have images of dark streaks that show up on some slopes on the planet in the warmer months, and these grow faint and disappear in the cooler months. They believe the streaks are created by water flowing downhill. On these slopes, scientists have also discovered traces of salt deposits which are usually created in salty water. The data that enabled the scientists to reach this conclusion was gathered by an orbiter circling Mars. It’s like a party around Mars. There are a bunch of spacecrafts orbiting the planet and sending data back to Earth. Mars Odyssey has been orbiting the planet since 2001, and it has set a record of being the longest-serving spacecraft around Mars. Mars Express Orbiter has been going around the planet since 2003, and Mars Reconnaissance Orbiter (MRO) has been doing so since 2006. Mars Atmosphere and Volatile EvolutioN (MAVEN) and Mars Orbiter Mission (MOM) have been orbiting the planet since 2014. 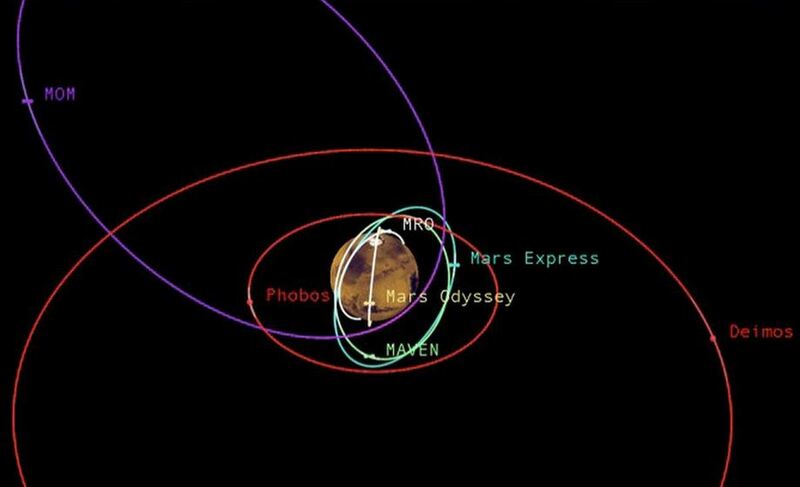 Let’s not forget about the two moons of Mars, Phobos and Deimos, that also go around the planet. There are even two rovers (Curiosity and Opportunity) strolling around on Mars. 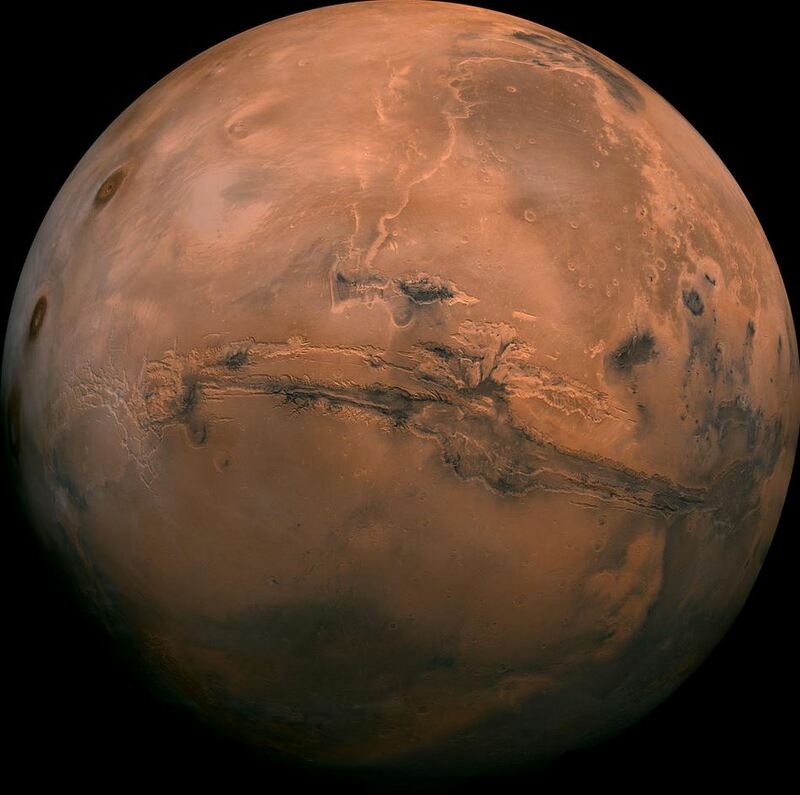 Mars is our neighbor and is called the “Red Planet”. This is because of rust in the Martian rocks which gives the reddish color to the surface. If you feel you just need a few more minutes every day to get your work done, you should be on Mars – a day on Mars is 24 hours 37 minutes, and those extra minutes sure can be useful! A Mars year is about 687 Earth Days. Here are four videos, one is about water on Mars, the second is an animation of a site on Mars, the third is about living on Mars, and the last is about Curiosity’s three years on Mars.